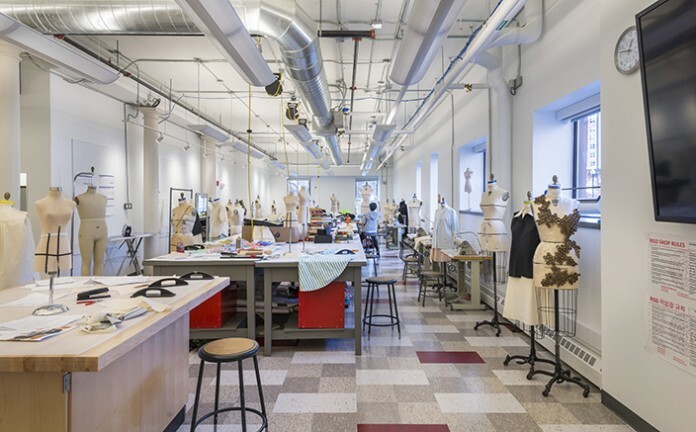 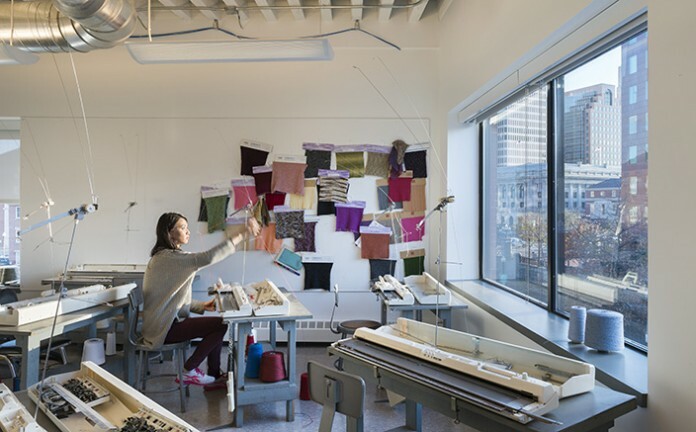 LLB Architects worked with Rhode Island School of Design (RISD) on the study, design, and renovation of a downtown Providence turn-of-the-century building to serve as the new home for their Apparel Design Department. 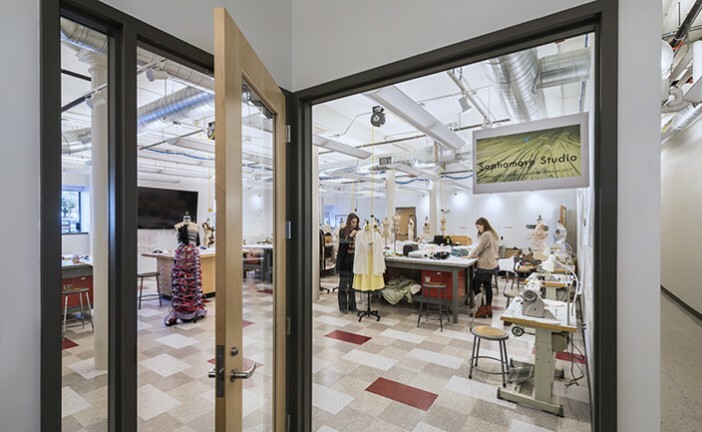 The existing office building was converted into large, well-lit, open, and technologically advanced studio spaces and classrooms which enhance and promote the hands-on learning environment of the department. 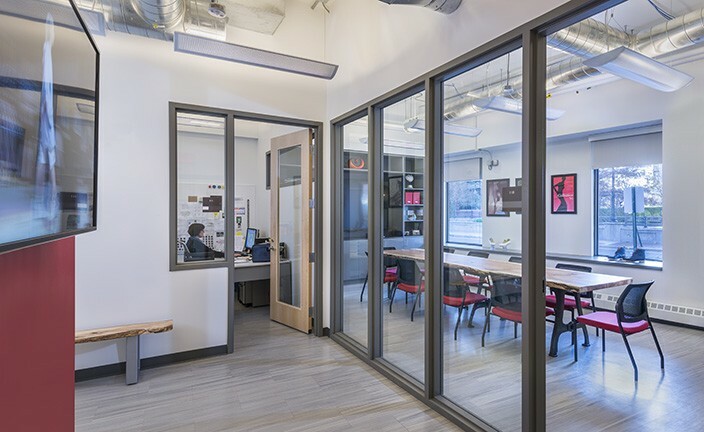 A flexible multi-purpose space is used as separate classrooms as well as a single large studio space to hold departmental semester critiques by moving tackable and mirrored portable wall partitions. 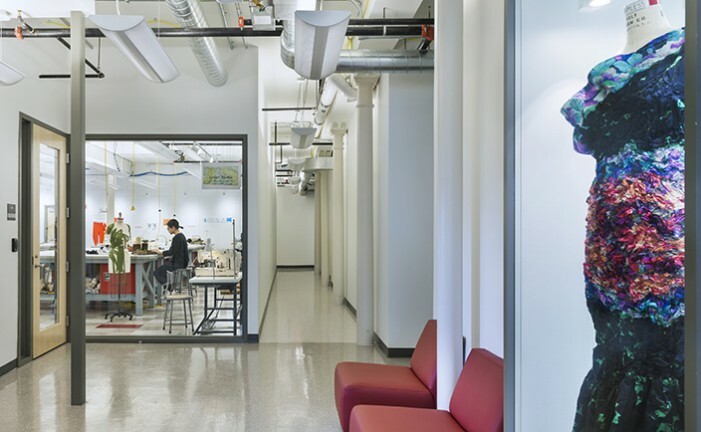 Large glazed openings into the studios and display cases in the corridors exhibit the students’ progress and projects throughout the school year. 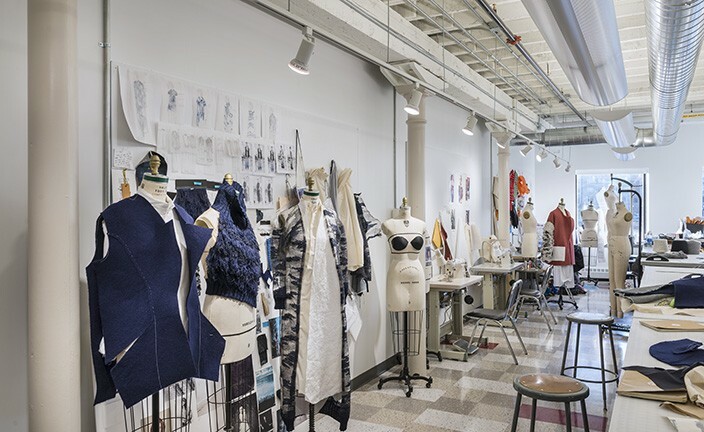 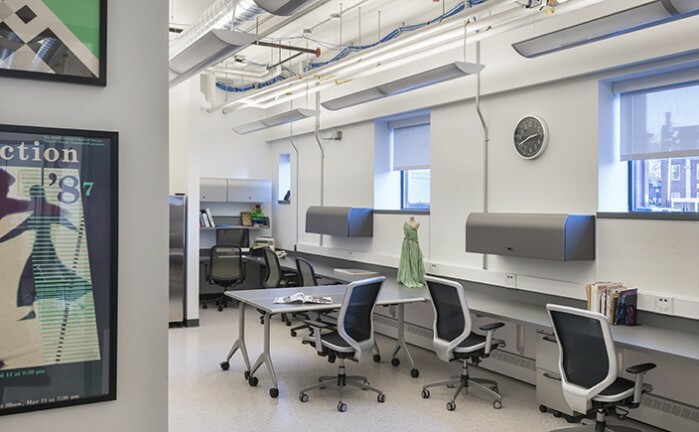 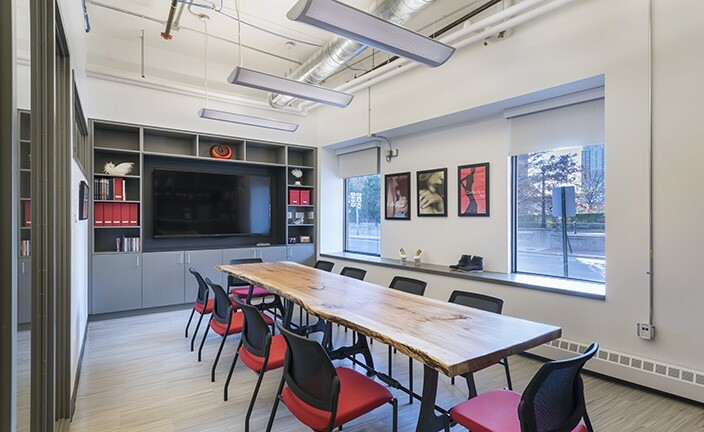 A welcoming faculty suite with collaborative office/workspace and a conference room greets visitors as they arrive in the building as a space to house the high-level fashion and designer materials that teachers often share with current and prospective students.